+$Get a one-year subscription to the cloud sharing service trusted by Silicon Valley's biggest companies. +$You can join the ranks of the over two million leading designers, developers, and support teams who count on CloudApp. This premium cloud sharing app makes it easy to ditch the management confusion of saving and renaming screenshots. 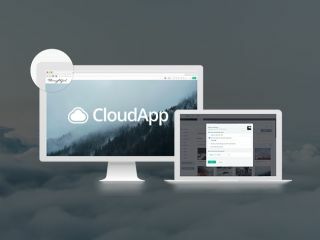 All you have to do is drag and drop a file from your desktop into CloudApp, and send it instantly to anyone you want. +$A one-year subscription to CloudApp Pro usually retails for $300, but you can save 90% off that price. That means you’ll+$pay Just $30+$(approx. £24) for a lifetime of perfectly simple screenshot sharing. That's a deal you don't want to miss, so grab it today!